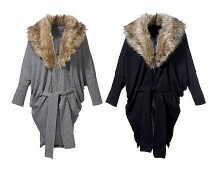 If you are looking for a cardigan that looks amazing over a mini dress, a long shirt and a pair of skinny jeans or a plain tee and leggings, this long v-neck small heart print cardigan may be a good choice in terms of design and budget. The front pockets give a practical feature to your entire outfit, while the length from shoulder to hem is about 80 cm. 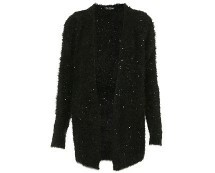 You can find this cardigan online at axparis.com, for £19.99. The available sizes are S/M and M/L.